"Priests in front of Xixiaozhuangzi rectory"
Priests in front of Xixiaozhuangzi 西小莊子 rectory. 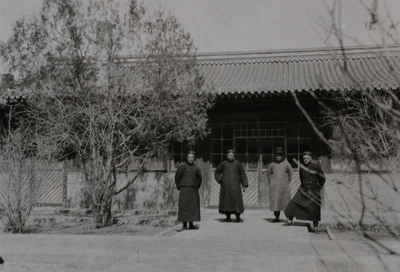 Priests in front of Xixiaozhuangzi rectory. 1933. Société des Auxiliaires des Missions (SAM) China Photograph Collection, Whitworth University Library, Spokane.